Donicio comes by on his motorbike every day. He has this high-pitched whistle so you know exactly who is driving by, plus his motorbike is pretty loud. Obviously his whistle is why I call him the Whistler. 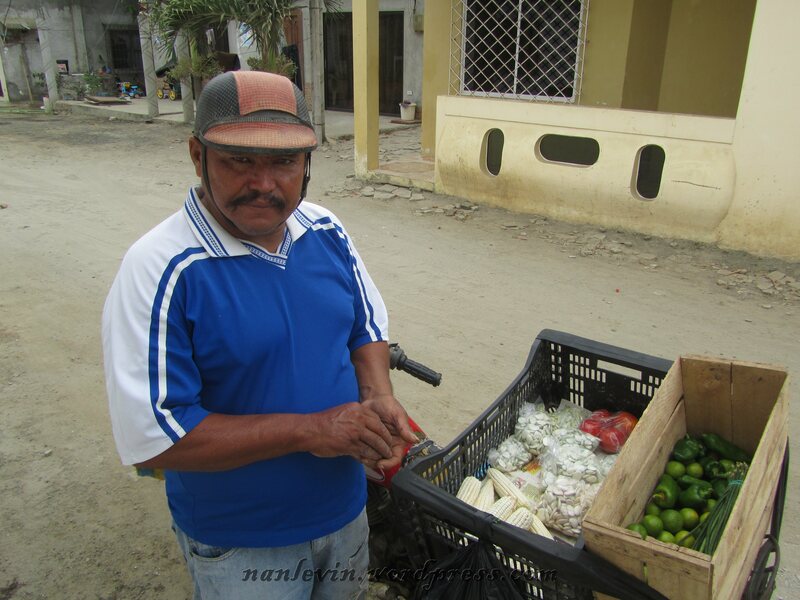 Today he had fresh cilantro, choclo, lemons, long beans, green peppers, tomatoes and an assortment of fresh beans. I assume he has a farm as the items change daily, are of limited quantity and all are fresh fresh fresh. He was fascinated when he saw the picture I had taken of him. Sometime this week I will print a picture out for him and when I stop him again I will give him his photo. 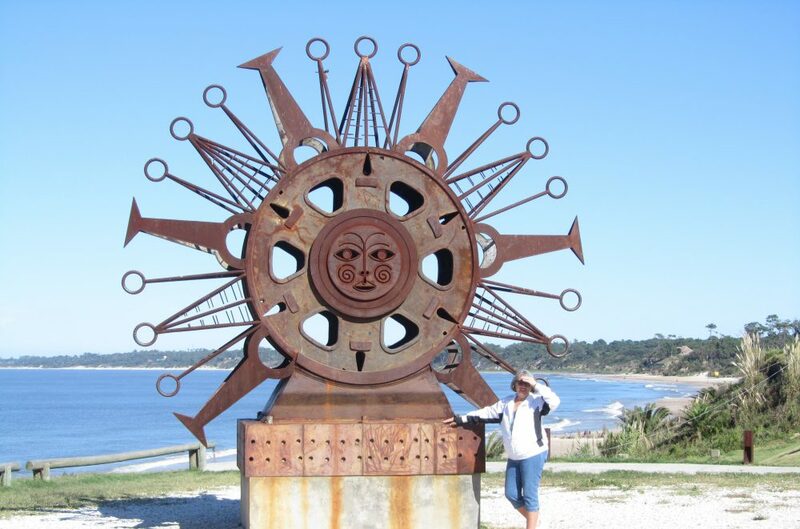 This entry was posted in Beach, Cilantro, Cooking, Corn, Ecuador, Food, Herbs, Peppers, San Clemente, Shopping, Veggies and tagged Beach living, Cooking, Ecuador, food, San Clemente, South American by Nancy Levin. Bookmark the permalink.